The problem with addiction is that often it's starts as a bad choice and becomes a disease of the spirit/soul! Addiction is a disease of the spirit. We have “lost control”, and drugs and alcohol have taken control of our lives. Because any addiction is a spiritual disease, if you are going to be healed, your spirit must also be healed. You can try to overcome this on your own, and some people are able to do this, but many are not. There are a variety of ways to overcome an addiction, but as AA writes, to overcome addiction often takes a “power greater than ourselves”. People in recovery will tell you that one pill is too many and 20 aren't enough. Is there a cure for drug addiction? The short answer is no, mainly because the determining factors that led to a person’s condition don’t change. That's another Problem with Drug Addiction, everyone ones a quick fix and easy solution and currently none exists. But people can manage their addiction and move forward to lead a healthy, long and productive life. Addiction doesn't have to be the winner, but those suffering need the tools to access strength and support. But the problem with addiction is that you have to be honest with yourself and realistic about the problem. Addicts need to realize they can’t use, because the consequences are serious at the very minimum, and too often deadly. 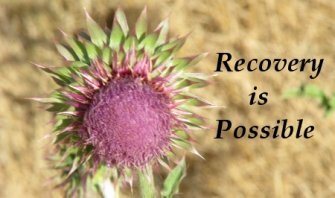 We believe we are body, mind and spirit, and each of those need to be treated in order for recovery to take place. There is hope. The problem of addiction can be overcome if you are willing to seek the help that you need. I have a sister at the age of twenty. She meet a girl by the name of Ferril and has a history of abusing drugs. She is a past Heroin addict. I believe she use manipulation techniques. Nevertheless my sister is in grave danger she has already become addicted to the use of smoking opiates (percs). Furthermore she is committing crimes on a daily basis and the problem is progressing. I am fearful that she will end up in prison or dead. What advise can you provide that will help me help her?? You want to be a good brother and do what is in the best interest of your sister and I commend you for that. The problem you will be dealing with is your sister’s attitude towards receiving help for her addiction, so be prepared for her anger, her denial, her refusal to seek help and her lying to you about just about everything. It’s all a part of the disease she has. Al-anon is an organization devoted to helping people just like you, who want to do the right thing, but don’t necessarily know what moves to make first. They have been in your shoes and they have a wealth of knowledge to share with you. A counselor once told me that it’s actually harder sometimes to help the family members, because they are so focused on getting help for the addict that they don’t get help for themselves. Let them help. You can also research local treatment centers and alternatives to those treatment centers. Your options are far ranging, from traditional drug treatment to faith-based organizations that combine therapy with spiritual guidance. Your sister should also be encouraged to get a physical examination to assess her overall state of health. Depending on her stage of the disease, she may need other attention, even before treatment can begin. Get together with your family and discuss this. Everyone needs to be on the same page in order to provide your sister with the support system she will need going through treatment and recovery. As the old saying goes, a chain is as strong as its weakest link, so if one person is staunchly trying to work the program, while another is undermining the process, the results will suffer. One member helps, the other enables. The important thing is for you to understand that you need to be in this for the long haul, to stand by your sister and fight for her, even if she fights against you. You need support and guidance, so Al-anon is a good call to make. I’m a reasonably good person and I’ve had a prescription drug habit for more years than I can count! I’ve had one idea that I believe could help, I’m currently on Suboxone, Diazapam, Temazapam and Risperidal, I was on Dexiamphetamines for around three years in my Twenties (In my thirties now) and I think if I had the right support I could get off all these drugs. The reason I am sure of this loony idea is nothing to be proud of but I take Methamphetamine recreationally and when I’m on it I don’t need or crave my other drugs, the main reason for this is because I want to make it a quick and easy process, I know you doctors believe in longer more drawn out process but this is not my first time getting off! You are taking quite a cocktail of drugs and from what you’ve written it sounds like you are the one in charge of your treatment and recovery. The idea of taking methamphetamine to get yourself off of Suboxone is like shooting yourself in the foot to make your headache go away. You’re trading one problem for another. Doctors and therapists may use a different methodology and that methodology might be drawn out, as you put it, but if you are willing to do the work necessary to ensure that the program is effective, you won’t be worrying about having to repeat the process. You, like so many others, are looking for a quick and easy solution. You are overlooking possible health concerns, you are overlooking the underlying reasons for your drug use and you are trying to manipulate the process and convince yourself that you have the right idea. You’ve done it before. You’ll do it again. I don’t see anything that is going to break the addictive cycle. We are body, mind and spirit. What is being done to address all three areas? We’ve touched on health concerns and prolonged drug use, but you also need to look into spiritual matters and gain an understanding of what is driving your substance use disorder. You may think you have it figured out, but you don’t. A treatment program, designed to meet your personal needs, is necessary to help you rid yourself of this drug life and once you have completed the program, you need to stick to a recovery program that will help you stay clean. You need to trust others to help and not try to be your own doctor. Sometimes we need to go back into treatment and try again. The important thing is for you to be drug free and live a happy, healthy and productive life. Trust me it's the best thing in the long haul and there are free rehabs... Look into the city of where you live. Trust me if you really want the help, it's out there. And don't use the excuse that you don't have the money... If that's the case then how in the heck have you been supporting your drug habit ???? and don't say only your prescription cus you and everyone else know that you probably blow through that in 1 week and then off to the street you go to buy you pills or meth !!! I know it's harsh but dude your life is at stake... My question to you is, how bad do you wanna get clean ???? Only you and GOD know that.... Now go get it the ball is in your court!!! If I can get clean anyone can get clean!!! I went from a school teacher, married with a beautiful family, to homeless, hopeless, and helpless, until I finally found GOD, and He opened up doors that I never thought possible. Dude I'm sitting back in my chair in my house with my beautiful family again. God is awesome, you just gotta surrender !!!! That completes our page on the problem with addiction. For more information on the problem with addiction, please visit our home page.